Complex-1 is a monophonic modular synth delivered as a Rack Extension, available now. What you get is a selection of modules, with a combination of Buchla- and Moog-inspired synths, and some twists from Propellerhead. You can patch these right on the front panel – not the back panel as you normally would in Reason – and combine the results with your existing Reason rack. The ensemble is very West Coast-ish, as in Buchla-inspired, but also with some unique character of its own and modern twists and amenities you would expect now. 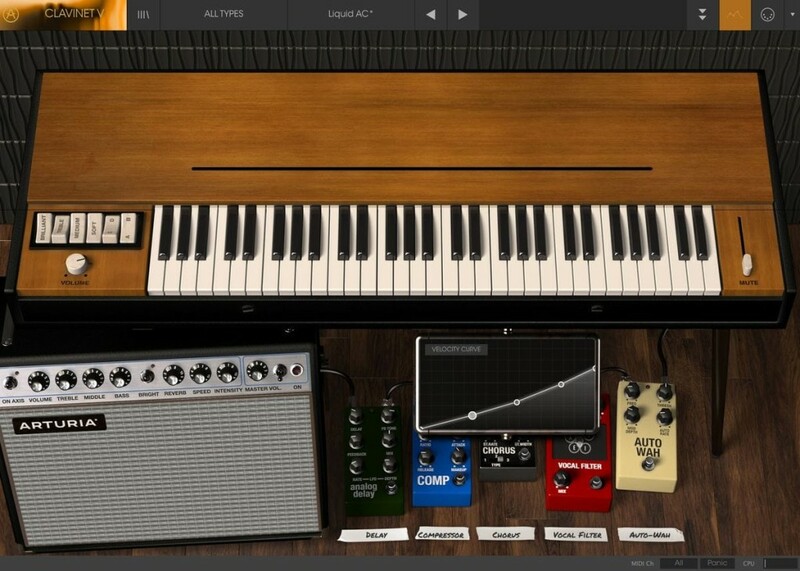 Propellerhead have also a lot of design decisions that allow you to easily patch anything to anything, which is great for happy mistakes and unusual sounds – for beginners or advanced users alike. The three oscillators each have ranges large enough to act as modulation sources, and to tune paraphonic setups if you so wish. Prepare to get lost in this: the recent Quad Note Generator is a perfect pairing with Complex-1. Complex Osc This is the most directly Buchla-like module – subsonic to ultrasonic range, FM & AM, and lots of choices for shaping its dual oscillators. Noise source, OSC 3 Noise sources including red, plus an additional oscillator (OSC 3) with a range large enough to double as a modulation source. Comb delay If the Complex Osc didn’t get you, the comb delay should – you can use this for string models by tuning the delay with feedback, as well as all the usual comb delay business. Filter Here’s the East Coast ingredient – a Moog-style ladder filter with drive, plus both high pass and low pass outputs you can use simultaneously. Low Pass Gates Two LPGs (envelope + filter you can trigger) give you more West Coast-style options, including envelope follower functions. Shaper Distortion, wavefolding, and whatnot. More modules: LFO, ADSR envelope, output mixer, plus a really handy Mix unit, Lag, Scale & amp, Clock & LFO + Clock 2. There’s also a useful oscilloscope. Sequencer plus Quant: You can easily use step sequencers from around Reason, but there’s also a step sequencer in Complex-1 itself, useful for storing integrated patches. Quant also lets you tune to a range of scales. Function: A lot of the hidden power of Complex-1 is here – there’s a function module with various algorithms. 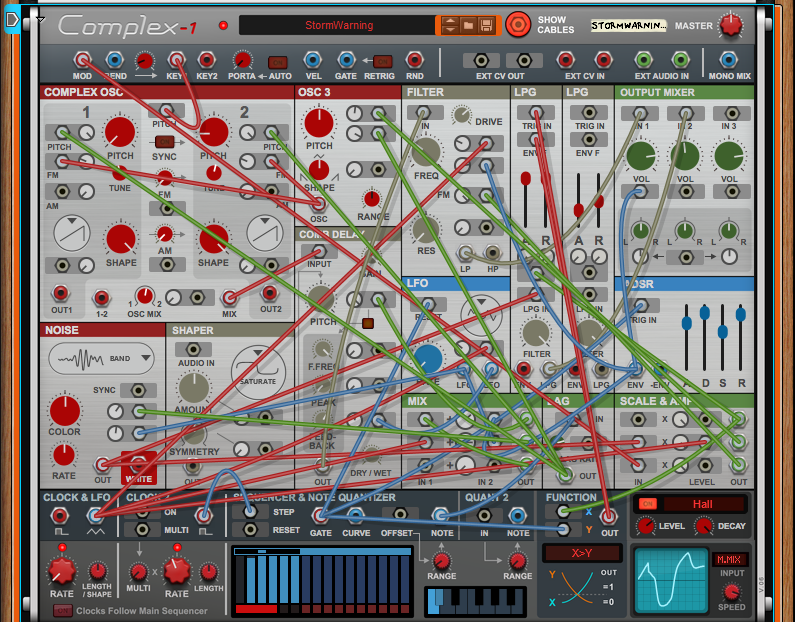 Yes, you can make complex patches with Complex-1. The dual advantages of Complex-1: one, it’s an integrated instrument all its own, but two, it can live inside the existing Reason environment. 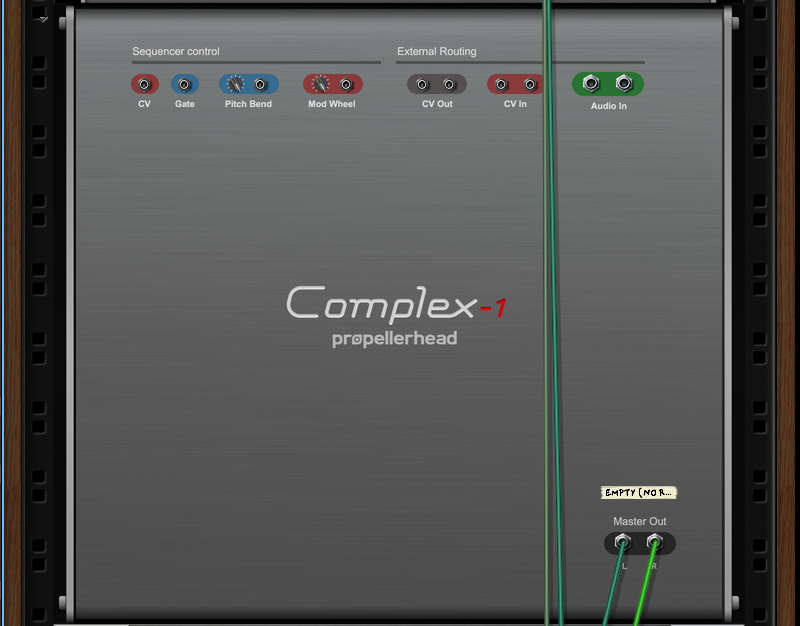 I’ve had my hands on Complex-1 since I visited Propellerhead HQ last week and walked through a late build last week. Full disclosure: I was not immediately convinced this was something I needed personally. The thing is, we’re spoiled for choice, and software lovers are budget-minded. So while a hundred bucks barely buys you one module in the hardware world, in software, it buys a heck of a lot. 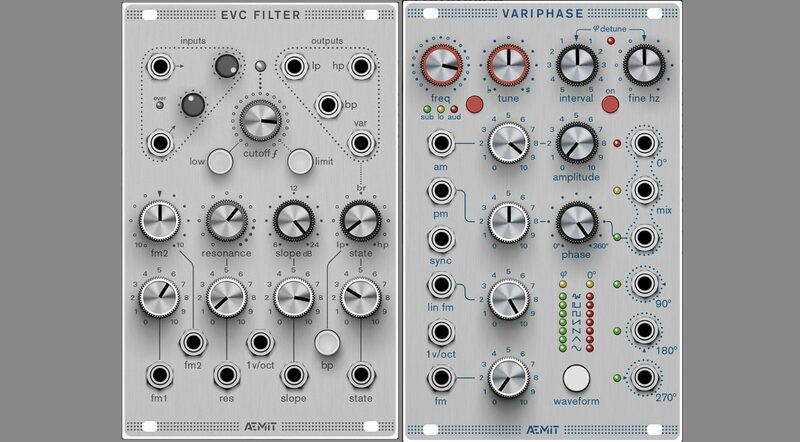 That’s the entry price for Softube Modular, for VCV Rack and a couple of nice add-ons, and for Cherry Audio’s Voltage Modular (at least at its current sale price, with a big bundle of extras). Not to mention, Reason itself is a modular environment. But there are a few things that make Complex-1 really special. It’s a complete, integrated modular rig. 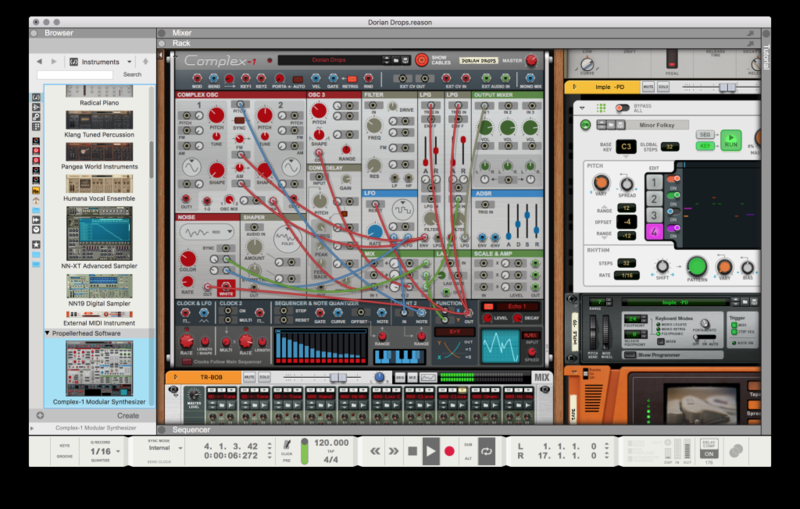 This is important – VCV Rack, Softube Modular, Voltage Modular, and Reason itself are all fun because you can mix and match modules. But it’s creatively inspiring to work with Complex-1 for the opposite reason. You have a fixed selection of modules, with some basic workflows already in mind. It immediately takes me back to the first vintage Buchla system I worked on for that reason. 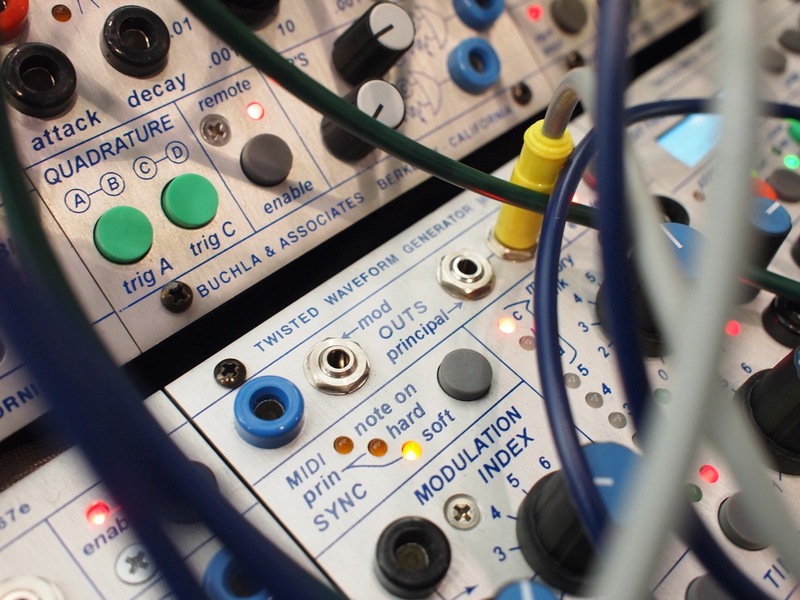 You still have expansive possibilities, but within something that feels like an instrument – modular patching, but not the added step of choosing which modules. 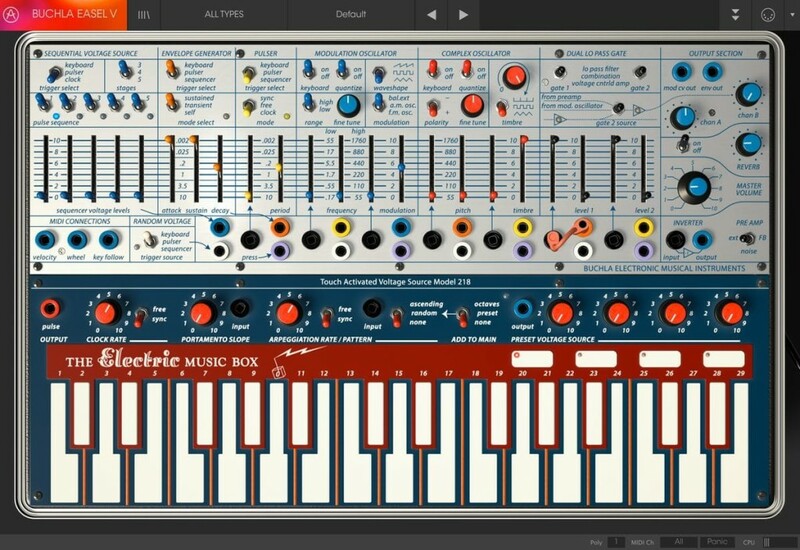 The team at Propellerhead talked about their admiration for the Buchla Music Easel. This isn’t an emulation of that – Arturia have a nice Music Easel in software if that’s what you want – but rather takes that same feeling of focusing on a toolkit and provides a modern, Propellerhead-style take on the concept. It sounds fantastic. This one’s hard to overstate, so it’s better to just go give the trial a spin. 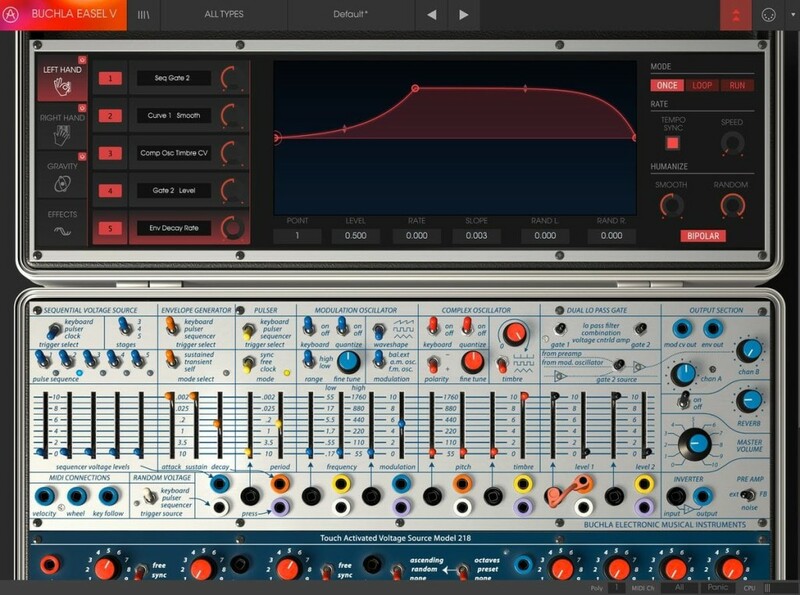 In terms of specs, Propellerhead points to their own DSP and 4X oversampling everywhere. In practice, it means even just a stupidly-simple patch with raw oscillators sounds gorgeous and lush. I love digital sounds and aliasing and so on, but… it’s nice to have this end of the spectrum, too. You get a weird, uncanny feeling of lying in bed with a laptop and some studio headphones and hearing your own music as if it’s a long-lost 1970s electronic classic. It’s almost too easy to sound good. Tell your friends you’ll see them in the spring because for now you want to spend some time along pretending you’re Laurie Spiegel. It lives inside Reason. The other reality is, it’s really fun having this inside Reason, where you can combine your patches into Combinators and work with all the other pattern sequencers and effects and whatnot. 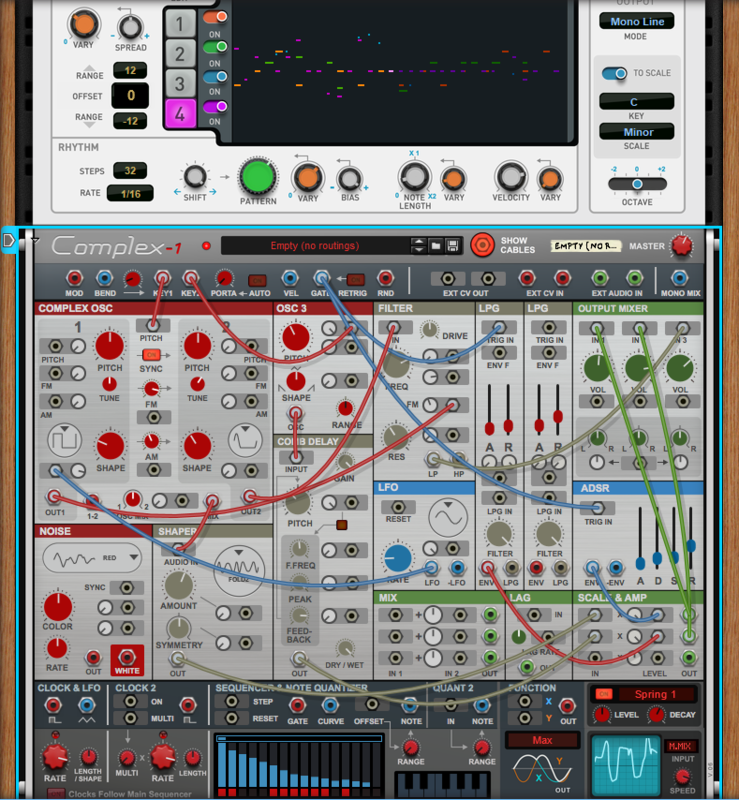 You can also make elaborate polysynths by stacking instances of Complex-1. There’s basic CV and audio interconnectivity with your rack. This may look meager at first, but I found this in addition to the Combinator opens a lot of possibilities, especially for playing live/improvising. 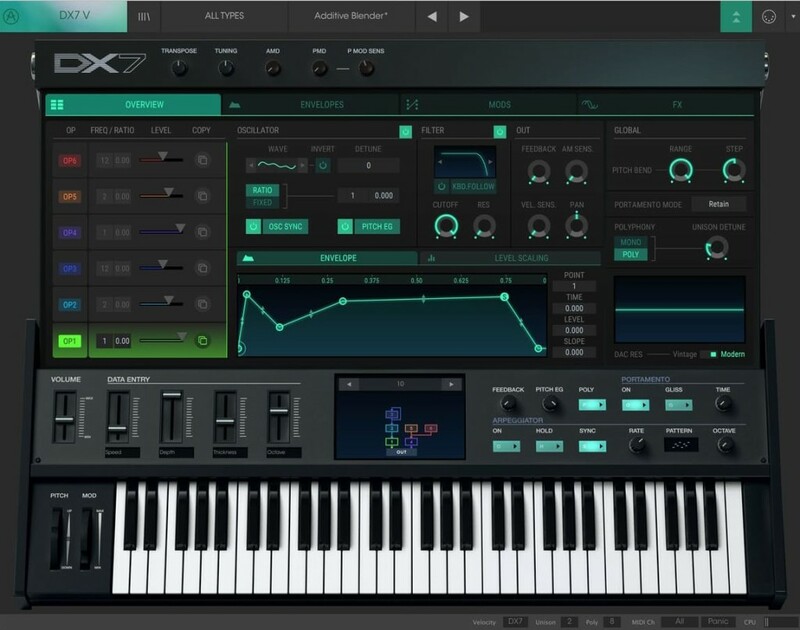 You get loads of presets, of course, which will appeal to those not wanting to get lost in patching. But I also welcome that Propellerhead included a set of basic templates as starting points for those who do want to explore. You don’t get unlimited patchability between Complex-1 and the rest of Reason. For simplicity, you’re limited to note/MIDI input (from other devices as well as externally), basic CV input and output, and input to the sequencer. There’s also a very useful audio input. That may disappoint some people who wanted more options, though it still provides a lot of power. Mostly I want to buy a really big touch display for Windows and use that. And with this kind of software out there, I may not be looking at hardware so much. I even expect to use this live. 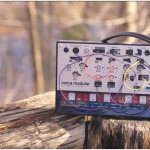 The post Hands-on: Complex-1 puts West Coast-inspired modular in Reason appeared first on CDM Create Digital Music. Guy Drieghe ist ein kreativer Geist, der schon so etwas wie ein Urgestein der Synthesizer-Szene ist. Immer wieder gibt es interessante Hardware. Nun auch auch komplettes Modulsystem namens Aemit. Den Anfang machen ein EVC Filter, der wie ein Oberheim SEM auf Steroiden daher kommt und ein Variphase, ein Super-VCO/LFO. Bekannt wurde er durch eine Art Zusatzkarte für Buchla. Aber schauen wir mal genauer bei Aemit. Es gibt inzwischen schon eine Reihe von Modulen und ein Gesamtkonzept für ein vollständiges System. Wie immer geht es hier um Details, sinnvolle und akkurate Steuerung und natürlich auch den Klang selbst. Den Namen Guy Drieghe habe ich zum ersten Mal auf einem Cover von The Klinik gelesen, wer viel über die Belgische Elektro-Szene wissen will, sollte und kann ihn befragen. Schaut man sich die Module an, findet man aufgeräumte und gut beschriftetes Design. Das EVC Filter ist von 6 bis 24 dB / Oktave fließend einstellbar und bringt Tief-, Hoch- und Bandpass getrennt regelbar sowie steuerbare Resonanz mit. Die Schaltung ist ein bisschen wie die des Oberheim SEM, jedoch massiv erweitert, weshalb sie auch bis 24 und nicht nur bis 12 dB / Oktave reicht. Die Steuerung kann auch oktavrein sein, deshalb findet man auch einen V/Oct-Eingang neben den beiden FM-Eingängen. Ein anderes interessantes Modul ist Variphase, eine Art Super-VCO/LFO mit sehr genau einstellbarer Phasenlage, Modulation und Wahl von 7 Schwingungsformen. Deren Steuerung enthält AM, PM, lineare FM und natürlich V/Okt, damit ist das Modul absolut FM-tauglich und noch mehr PM-tauglich denn die Phasenlage ist komplett und genau steuerbar und hat mehrere Ausgänge für verschiedene Phasenlagen. 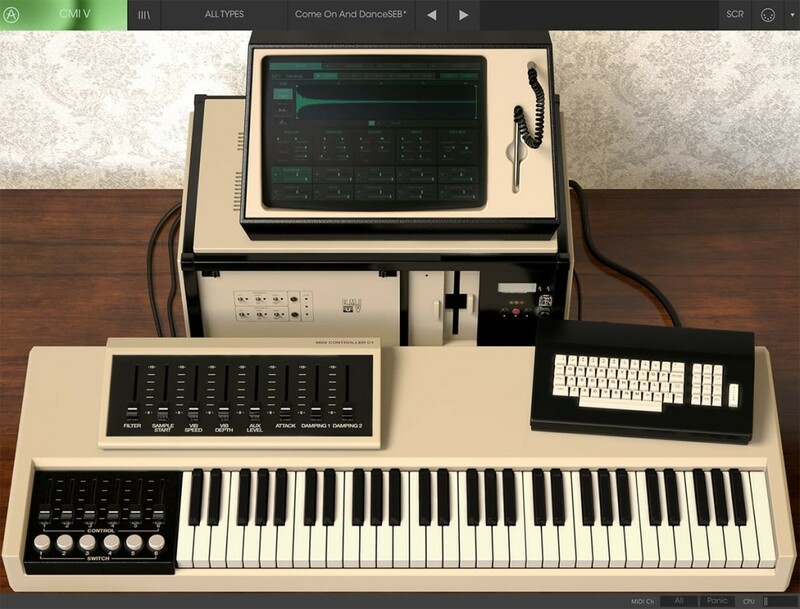 Wer gern sehr weit denkt und über das was analoge Synthesizer so können hinaus gehen möchte, wird mit dem Aemit sicher einen guten Weg an der Westküste finden. Post-Buchla! There’s renewed interest in his pioneering synthesis techniques. 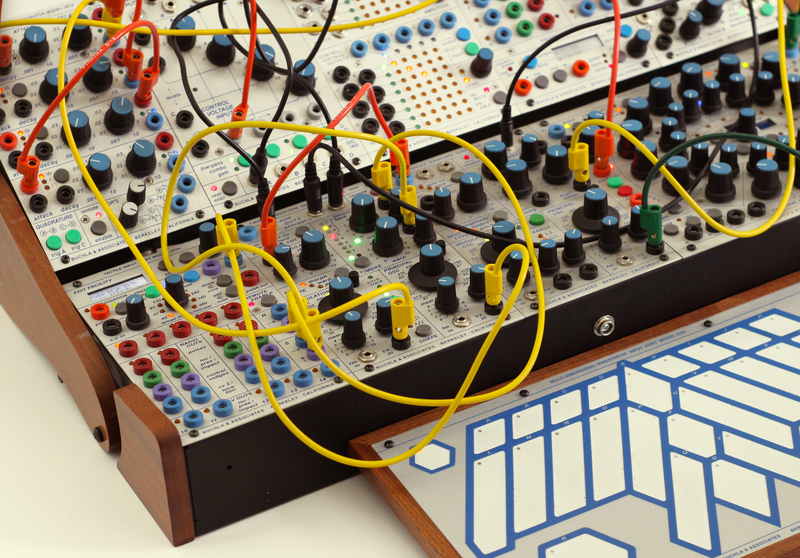 But now the future of Buchla’s hardware brand looks bright, too – under new management. Don Buchla’s ground-breaking approach to electronic musical instruments has gotten a second lease on life, as a new generation has embraced making sound with modulars – and, for that matter, weird and experimental sounds generally. That’s meant that Don’s place not only in the history of hardware, but alongside the San Francisco Tape Music Center (and composers like Morton Subotnick and Pauline Oliveros) has found a growing audience. Alongside that, the re-invigorated Buchla brand saw the re-launch of the Music Easel plus the debut of the new 252e Polyphonic Rhythm Generator. 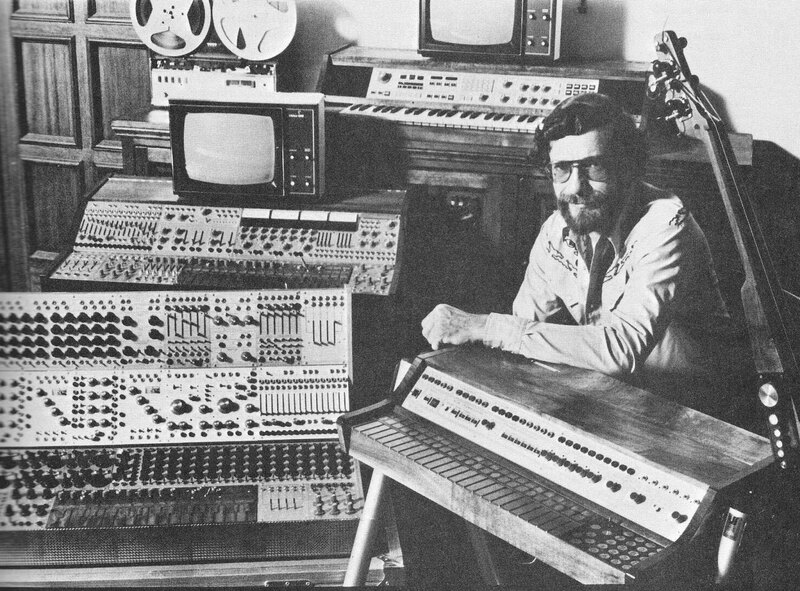 It should have been Buchla’s return to glory. 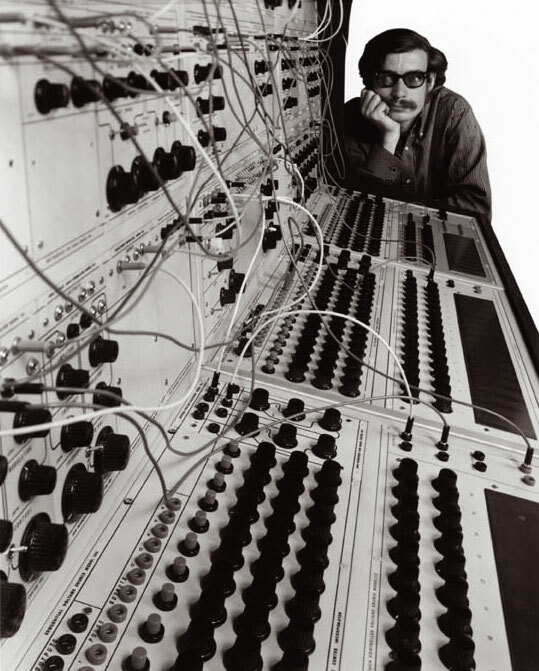 But it was marred by Don Buchla’s failing health, then financial troubles at Buchla Elecronic Musical Instruments, legal battles between Don Buchla and the new owners of the company he had founded, and finally the loss of Don Buchla himself. There was no doubt Don Buchla’s legacy would live on – but would new Buchla instruments? 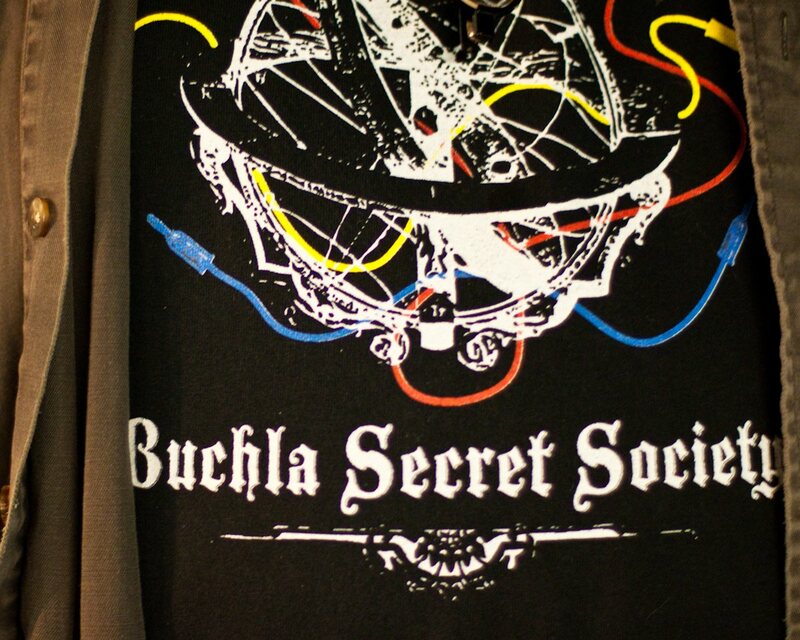 As of today, we have a much better picture for Buchla the brand. Buchla Electronic Musical Instruments (and the original Buchla & Associates) are no more. In its place, meet Buchla U.S.A.
On today’s nicely-binary January 11, Buchla U.S.A. LLC has announced it has purchased the former Buchla Electronic Musical Instruments and all its assets. The new company will be headquartered in Minneapolis, Minnesota, under the leadership of CEO Eric Fox. Fox is also owner of Foxtone Music, the US distributor for Buchla, Dreadbox, Polyend, and Black Market. More good news: Buchla U.S.A. will bring back two Buchla protégées, engineer Joel Davel, who worked alongside Don for over twenty years, and Dave Reilly, who the company describes as “hand-picked” by Don to manufacture new hardware. So got that? New products, plus vintage designs that never saw the light of day. After over half a century, it seems the Buchla story isn’t over yet. 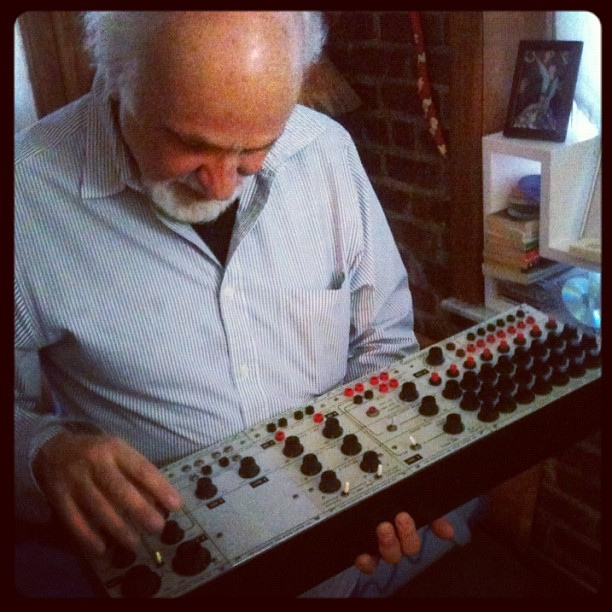 Buchla fans may still be waiting for Buchlafest, but you get Maestro Morton Subotnick at Moogfest. Photo (CC-BY) Ethan Hein. 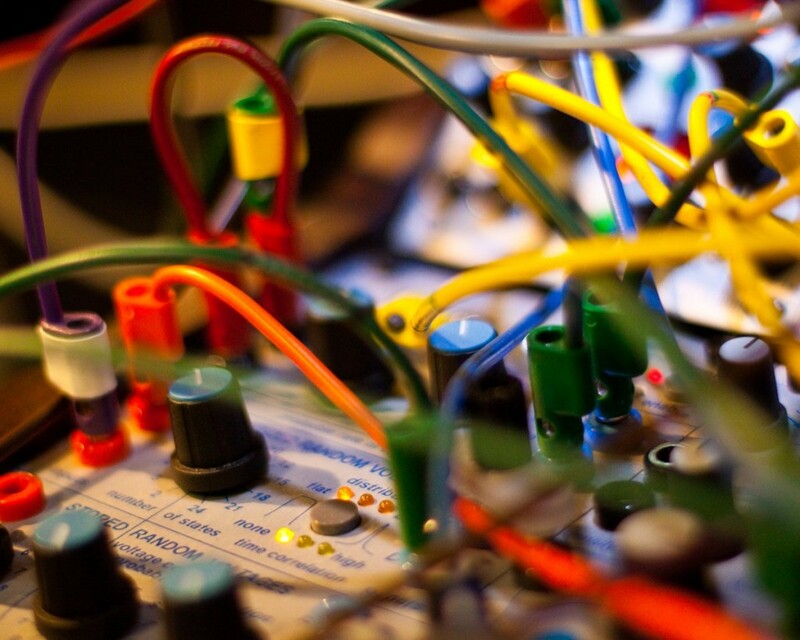 The post Buchla synth legacy secured, with new leadership, returning engineers appeared first on CDM Create Digital Music. The post Watch as music luminaries revisit the first Buchla 100 modular appeared first on CDM Create Digital Music. Buchla cloned – Alles hätte gerne einen Buchla 100? Den Klassiker! Catalyst Audio macht es möglich. 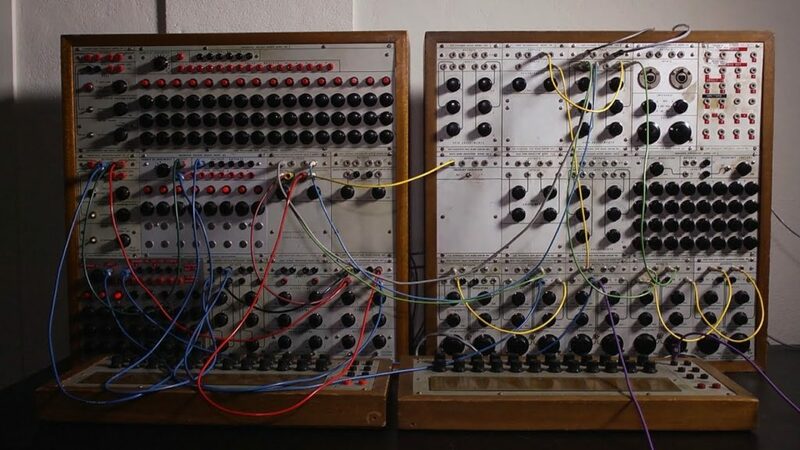 Die Buchla Box 100 war das erste modulare und bekannte System von Buchla. Noch bekannter und beliebter ist sonst noch die alte Buchla Box 200. Nachdem die 200e-Baugruppen speziell, teuer und digital sind, interessieren sich auch einige für die Module aus den Sechzigern. Buchla begann zu einer ähnlichen Zeit wie Bob Moog. Wenn man Marc Doty glauben schenken mag, kann man Mitte der Sechziger als den Start Buchlas betrachten, deren Vater er und Bob Moog den meisten einfällt. Dies ist heute auch so, weil die beiden für eine Philosophie stehen, die heute mit West-Coast (Buchla Serge) vs. East Coast (Moog und der Rest) bezeichnet werden. Aktuelle Module sind oft ein Produkt aus beiden Welten. Aber wieso nicht auch einmal die etwas weniger bekannte Seite probieren und verwenden können? Das fragte sich Audio Catalyst und bringt nun fünf Module aus dem klassischen 100er-System für alle auf den Markt. Die Schaltungen wurden nach seinen Worten weitgehend erhalten. Vermutlich gibt es einige Bauteile heute nicht mehr, deshalb wurde die selbstredend durch heutige Typen ersetzt. Model 156 Control Voltage Processor – Dies sind die „Treiber“ und Steuerinstanzen für die Oszillatoren. Das Konzept der Treiber verfolgte Moog übrigens ebenso und noch ziemlich lange mit der 904 und 912-Serie. Model 180 Dual Attack Generator – Zwei Hüllkurven mit AD-Charakteristik. Model 110 Quad Gate – Vier VCAs, keine Low-Pass-Gates. Warum möchte man so etwas, vergleichsweise „Simples“? Weil es einen speziellen Klang hat. Catalyst Audio bietet auch „normale“ Module wie etwa ein Modul (Time Zero) zur Zufallsbildung und zum Quantisieren. Außerdem gibt es den Sequencer des Roland SH101 als einfaches Modul mit dem schönen Namen SH-imple.